Craig Bauer is a seasoned, Grammy-winning audio professional with a strong need and desire to optimize his studio workflow to the highest degree possible. So why not go for gold? 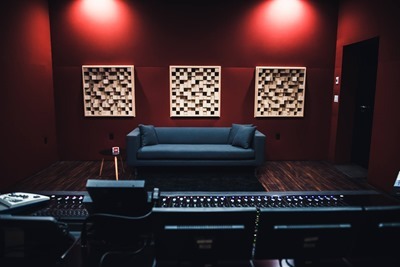 Kanye West, The Clark Sisters, Justin Timberlake, Kurt Elling and countless other high-profile artists have more in common than merely making music – they have all had albums mixed at Hinge Studios by Craig Bauer. Now, when mixing and producing is your livelihood, production time naturally becomes a valuable asset and then a studio setup that provides a great workflow is paramount. 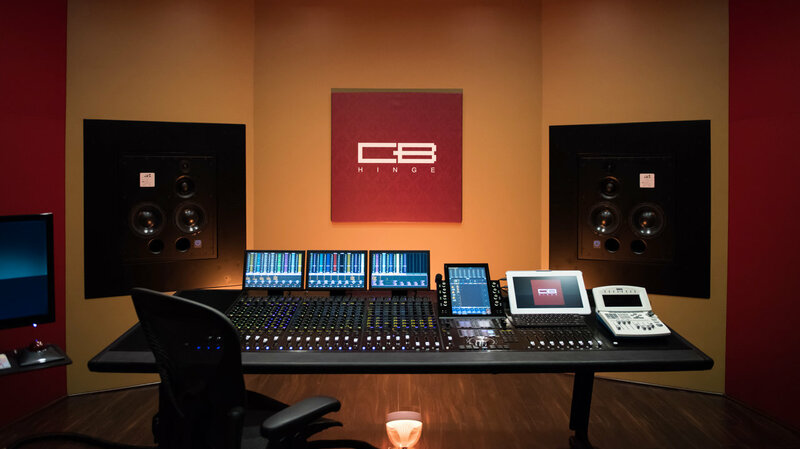 Craig Bauer’s Hinge Studios was based in Chicago for some 20 years, but recently he decided to relocate to LA, which represented a great opportunity to optimize the studio design for a truly golden workflow. These days, mixing everything ‘in the box’, staying within in the digital domain, has gradually become the norm. For Craig this represents an opportunity to create a studio setup that allows him to control everything hands-on from his Avid S6 control surface: And thanks to the Eucon control protocol-compatibility of the AX32 and the S6, the integration possibilities are very powerful. For instance, the microphone preamps on the AD expansion card for the AX32 are completely analog, but offer total digital control via the DADman software: “I have fitted my AX32 with DA cards, each holding 8 microphone preamps. I use them for overdubbing in the studio and being able to control every parameter of the mic pre directly from the S6 surface is perfection. I never have to leave the center position or turn my back to the speakers to adjust a parameter." 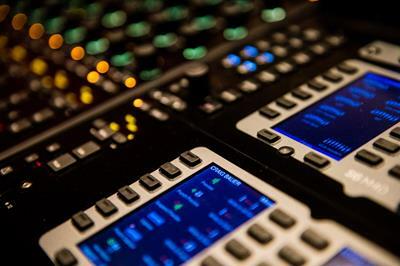 Another major factor for Craig in integrating the AX32 was the monitor control facilities: “The AX32 Pro | Mon monitor controller license offers a lot of flexibility. In fact, it was a driving factor in adding the AX32 to my setup. Integrating the AX32 and having complete control of my monitors, cue and talkback directly from the surface is indispensable. But more importantly, it eliminates one of the weakest links in any modern studio... outboard analog monitor control. With the monitor level now being handled in the digital domain with the AX32, all of the inherent issues of an analog pot simply go away." Finally, adding the Dante AoIP option was also a game-changer at the Hinge Studios setup. In short, Audio over IP allows compatible devices to communicate, send and receive audio streams seamlessly over an audio network. And in Craig’s case this represented a very concrete opportunity that truly optimizes his mixing workflow and saves production time: “I recently added the Dante card to my AX32. I only wish I had done it sooner. I use the Dante functionality of the AX32 to feed digital audio to my HearTechnologies Hear Back Pro Cue mixer. The flexibility in Dante combined with the DAD software is very powerful. Further, the Dante card also solved a long-standing annoyance as well. I can now route audio directly from my Mac into my control room monitors without having to quit or change anything in other audio applications while mixing. Subsequently, I can reference a track from a streaming site, iTunes, or browser simply by selecting a different monitor path from my S6. ”It is very difficult to point to one particular project. I just feel very fortunate to have been able to make a living and garner some amount of ‘commercial’ success doing what I love most. I believe the thing I'm most proud of is the number of clients that I have worked with for 10, 15, or ever 20 years. That more than anything speaks to my dedication to the craft and my desire to provide my clients with the best possible gear to achieve our creative and musical goals. At the end of the day, we guess this pretty much boils it down to the very essence. To Craig, it’s all about music and being creative when achieving the best possible mix of a bunch of tracks. And if we can assist in making his workflow better in order to achieve faster – and possibly even better – results in any way, shape or form, then we consider our work fulfilled as well.